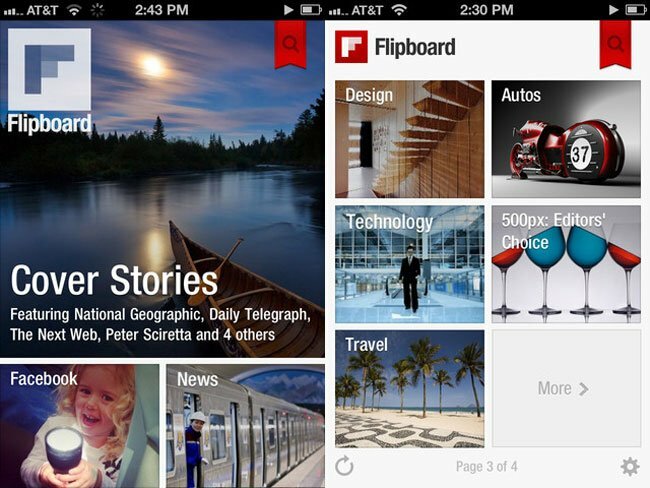 We heard recently that Flipboard was getting ready to launch a version of their popular iPad app for the iPhone, and the app is now available from the iTunes app store as a free download. What Flipboard does is take all the information that is being shared with you, stories, photos, facebook posts, tweets and more and turns them into a personalized magazine for you to read. Fill Flipboard with the things you like to read, from the smallest blogs to publications like Rolling Stone or Vanity Fair, and use Instapaper or Read It Later to save articles to read later. Connect Flipboard to all your social networks, and you’ll have a single place to enjoy, browse, comment on and share all the news, photos and updates that matter to you. Flipboard is available as a free download from the iTunes app store for the iPhone, iPad and iPod Touch, you can find out more details over at iTunes.